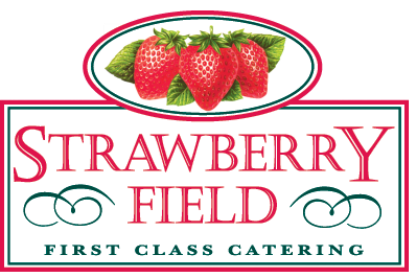 Strawberry Field Catering make over 95% of their dishes from scratch, buying in very few finished products. We also use only suppliers mainly within a 25 mile radius of our Bath production kitchens. Clearly some of our fruit and vegetables are sourced from around the globe but we try and make use of the UK seasons were possible. This great Butchers has supplied Strawberry Fields for the last 28 years with local, quality meat, sourced throughout Somerset, Wiltshire & Gloucestershire. Based in Cirencester, the time it takes between the boats landing their catch and it being delivered to our kitchens always amazes us. Based in Shepton Mallet, they deliver the freshest fruit & vegetables to us six days a week. Their chickens are all free range, live very happily in Hilperton & supply us with lovely fresh eggs. Based in North Devon, they supply us with a great array of local, regional and international cheeses. We rely on this lovely Italian Deli for all our Mediterranean produce including cooked meats, olives and mozzarella. One of our longest standing suppliers (30 years) of bakery products, dried fruits, nuts and couverture chocolate.